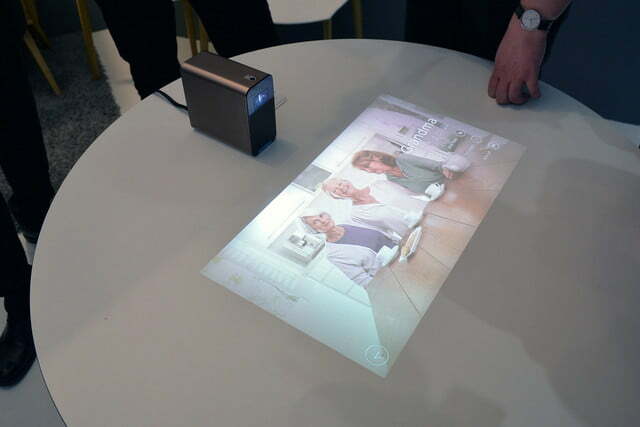 Imagine a future in which virtually any object in your home could be transformed into an interactive screen, allowing you to play games, work on documents, send messages, and even make video calls, thanks to a small and simple projection device. It sounds like the stuff of science fiction, but for Sony that future is now — well close to now anyway. 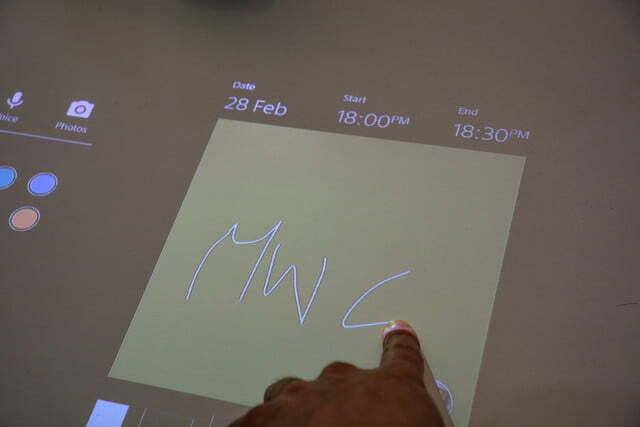 Today at MWC in Spain, Sony unveiled its new Xperia Projector concept device, a working interactive projection system that allows you to essentially turn any surface into a tablet. 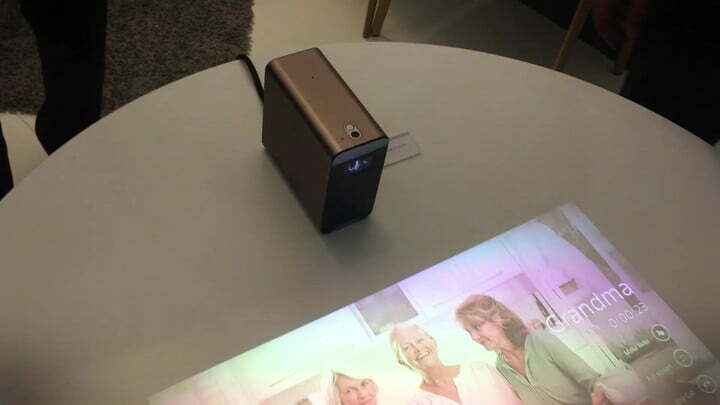 The scene was pretty funny in Sony’s ample exhibition space at Hall 2 here in Barcelona, as hordes of enthusiastic journalists gathered around the projector, asking question after question that the polite exhibitor was unwilling — or unable — to answer. 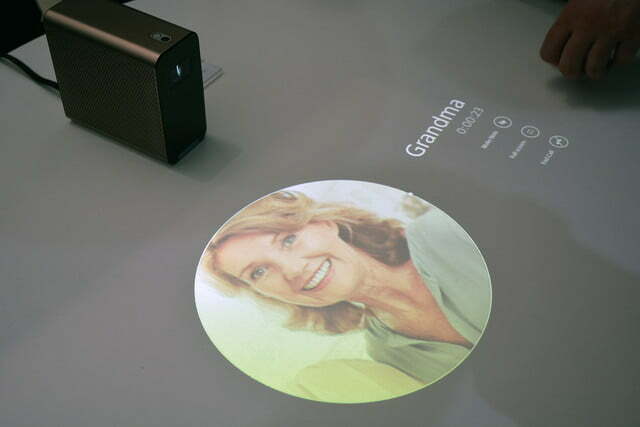 Suffice it to say that Sony is keeping a tight lock on its technology, as well it should. A system like this, which works with very little lag on what appears to be an Android OS, harbors a treasure trove of possibilities. 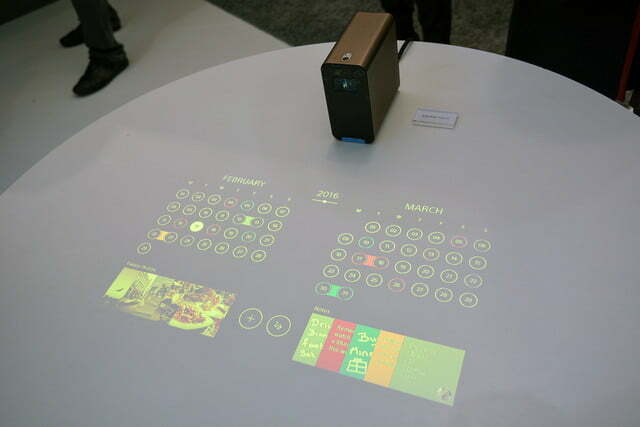 While we weren’t able to pry much out of the Sony rep, here’s what we do know: The projector is fully autonomous — a separate computer or phone isn’t necessary to power the system. 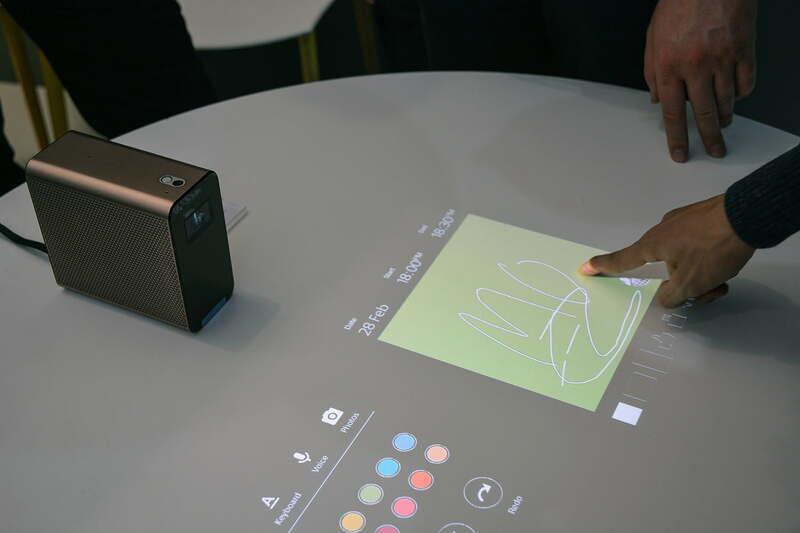 It’s (apparently) designed as a Wi-Fi device, as it only has a single cable connected for power. 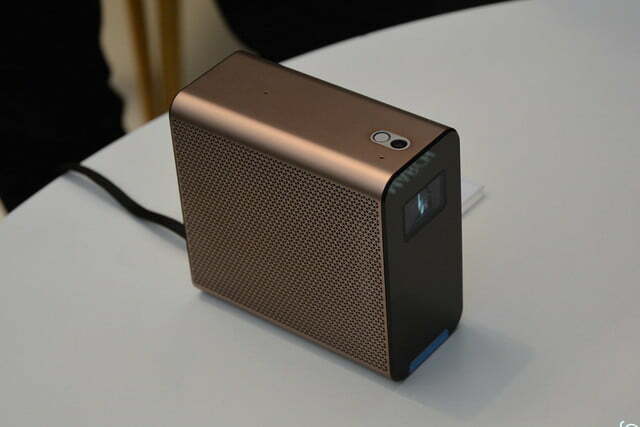 And while the device we saw was indeed plugged into power, it’s intended to be portable as well, meaning you could potentially set it up virtually anywhere inside the home or out. 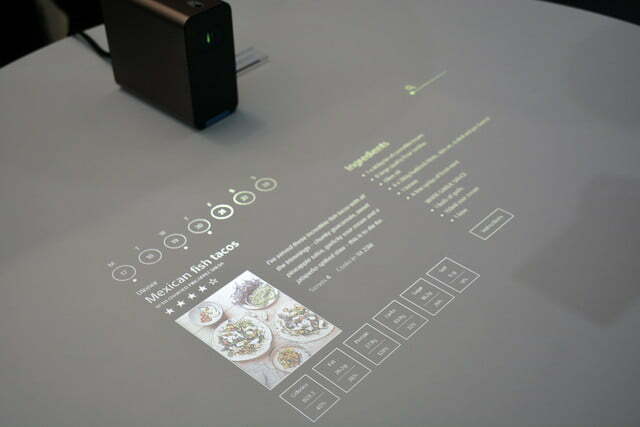 The possibilities of such a device are seemingly endless as the technology advances. 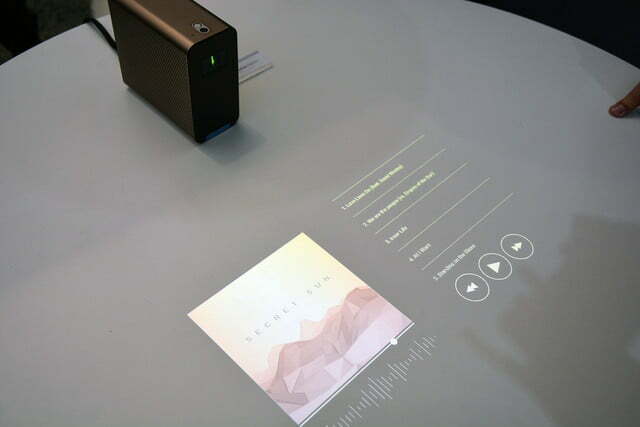 Of course, even slight lag will be something the company (and others currently working on the tech) will need to fully address before this is a must-have piece of technology. But even in its current form, if this is indeed an open Android system one can imagine that once the expansive field of Android app builders get their hands on the SDK, the applications will come fast and furiously. For now, we’ve simply got this concept model to ponder. 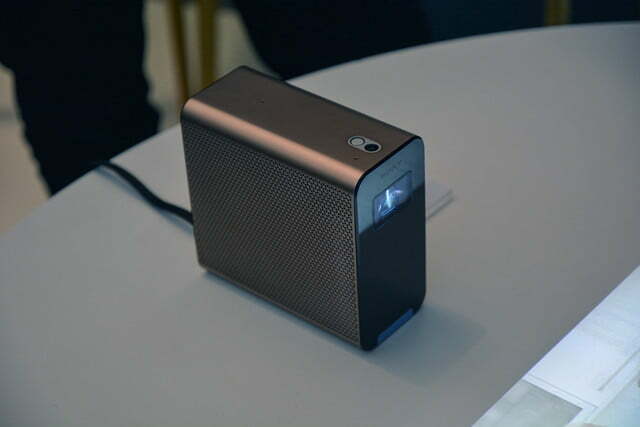 Sony isn’t saying when the projector will make it to market, or what kind of price tag will come with it. But for those with a little imagination — and a love for sci-fi — it can’t come soon enough.